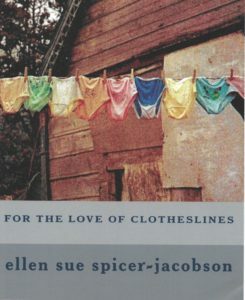 I am still collecting laundry from all over the world, because I want a second book called Romancing the Clothesline: The History of Laundry. My first book onto is topic, For the Love of Clotheslines, is available on Amazon. 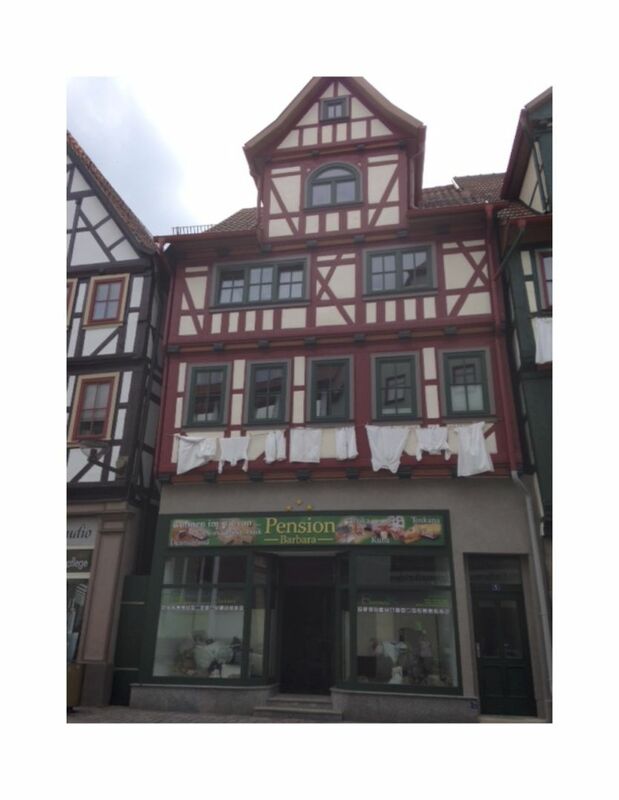 A member of my extended family, Friedhilde, is from Europe and on her last visit there, she captured two laundry photos and sent them to me. They were taken in Schmalkalden in Thüringen (Thuringia), Germany. Since I have no laundry from this area, I was happy to receive them. 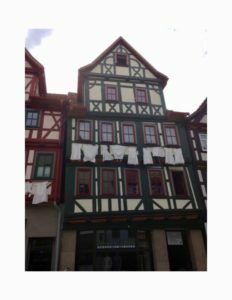 I also love the architecture of the houses. But how do they hang it? We are raising $1,000 to cover the costs of self-publishing the incredible stories of two remarkable but unknown women who fled the Holocaust. Cherie’s father had the foresight and funds to leave Lithuania* right before Hitler took it back, thus saving his family from the ovens. (Cherie is now 92.) One hard copy survives of the memoir Cherie typed 20 years ago. My friend Rina spent part of the war in a Russian detention camp with her mother, a midwife. 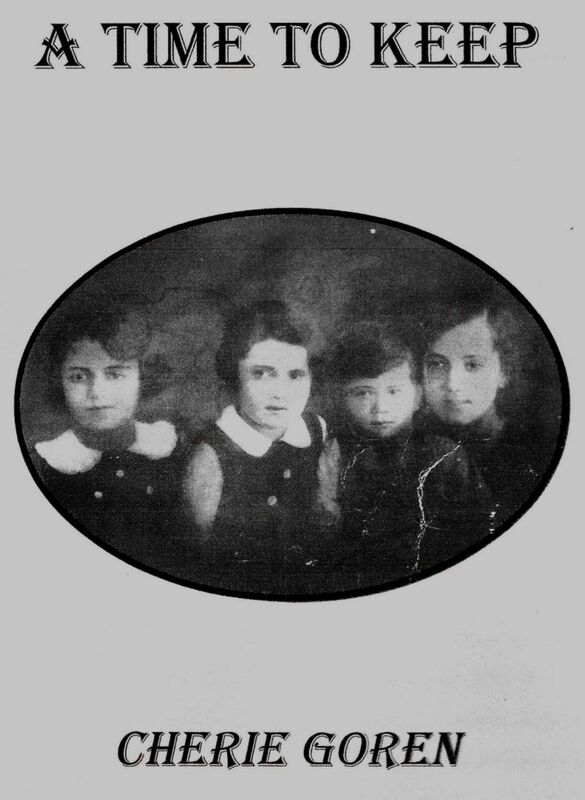 Rina was sent to Israel by Kindertransport and eventually migrated to the United States. She started her story and it deserves to be shared widely. With my writing colleague, Krista Nelson, who handles book design and photo retouching, I plan to publish these two tales of hope and resilience. The costs of editing, developing, formatting, and self-publishing both titles should run approximately $1,000. This summer I republished **Flight to Freedom: A Tale from Tarpiluvka on Amazon’s author platform and am confident in our ability to bring these stories to readers quickly and professionally. So, if you think that positive stories, rather than horror stories, about immigrants who came to America to flee the Nazis is a worthwhile project, we welcome any amount you are able to contribute. I am calling this project WordWorks. In October, my website, www.menupause.info, received 702 unique visitors. If each of you, my readers, contributed a dollar or two, we could get this project off the ground immediately. Thank you for your ongoing support of my writing. Comments welcome. I don’t believe in coincidences. This issue of the Smithsonian inspires me to move forward with Cherie’s Holocaust refugee story of Lithuania and Rina’s refugee story from Russia during WWII. **Note: This is the front cover photo of my family from my book, Flight to Freedom: A Tale from Tarpiluvka, available on Amazon. (Back cover is in the Go Fund Me letter.) 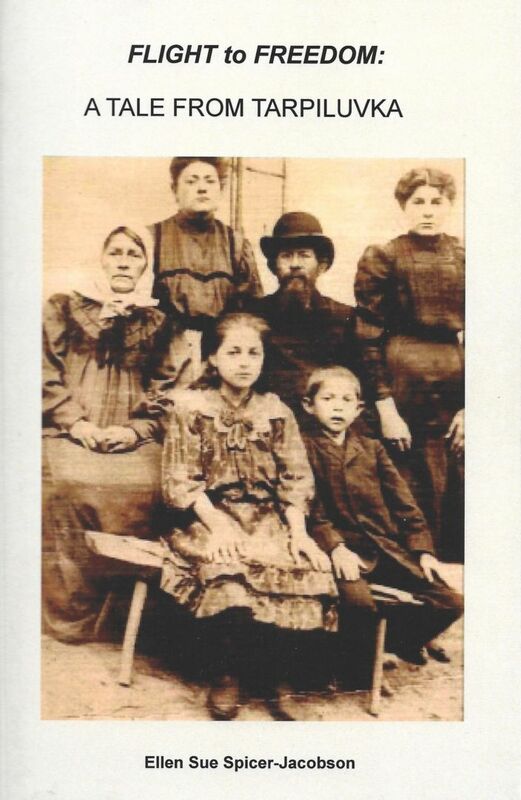 It tells, in historical fiction form, about the survival of my mother’s family because my great-great-grandmother sent her two sons from a shtetl in Russia to the village of Tarpiluvka in then Austria-Hungary to save them from conscription in the Russian Army at ages 9 and 12. They were adopted by a Jewish family in which the wife could not have children and thought the boys’ arrival was a miracle. 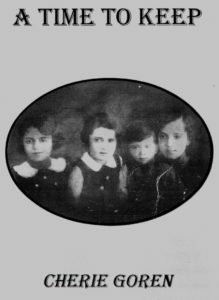 My grandmother is second from right and these are six of her 12 siblings who migrated to America and made a new life here. My goal is to help others with resilience tell their stories. You are currently browsing the archives for the My Books and My Pics category.